Boxed in by a freeway, a golf course and a neighborhood, it’s a miracle that San Francisco’s Mountain Lake even exists. But not only is the tiny lake—located on the south end of the city’s Presidio park—still there, it now provides one of the few places in San Francisco where visitors can watch California’s only native aquatic turtle bask in the sun. More than 50 young western pond turtles that were raised in captivity and released into Mountain Lake last summer are growing at a steady, rapid pace, said Jonathan Young, wildlife ecologist with the Presidio Trust, which is overseeing Mountain Lake’s restoration. The turtle release was part of the restoration of Mountain Lake, one of only three remaining natural lakes in San Francisco. Restoration began in 2000 and has so far cost $2.5 million, said Dana Polk, a spokeswoman for the Presidio Trust. The project required dredging out lead that had flowed in from Highway 1 decades ago before lead was banned in gasoline. Young also removed 62 non-native turtles that were living in the lake and sent them to a rescue center in Sonoma. Non-native turtles like red-eared sliders are often abandoned in city lakes by their owners once they reach adulthood and become too big and smelly to live in small quarters, Young said. These non-native turtles are more assertive than the shy western pond turtles and can take over the best logs in a pond or lake – logs that turtles sun themselves on to activate their digestion. With no red-eared sliders in sight, as soon as the day warms up, Mountain Lake’s 55 western pond turtles climb onto logs and nets that Young has set out for them. The turtles—which are the equivalent age of teenagers—are marble-colored, medium-sized and easy to see because they’re carrying an antenna and a small box on their shells. The radio transmitters allow scientists to keep track of the turtles’ location, said Nicholas Geist, a professor of biology at Sonoma State University who was involved in the turtles’ release. The turtles haven’t been doing well in their native habitat in the western United States. In California, they’re a species of “special concern,” Geist said. This makes it illegal for people to capture them, keep them as pets or otherwise handle them. Western pond turtles live most of their lives in the water, where the meat-eaters feed on crustaceans like crayfish, dragonfly nymphs and fish. They’re not the only turtles that are in trouble. This makes the story of how these turtles made it back to a lake in the middle of San Francisco all the more meaningful. For the past eight years, Geist has been studying western pond turtles in Boggs Lake, located 100 miles north of San Francisco in a nature reserve in Lake County. In an effort to help the population’s survival, every summer he collects a number of turtle eggs from nests around the lake and takes them back to his lab at Sonoma State University, where they hatch after a few weeks in an incubator. Geist then delivers the hatchlings to the Oakland and San Francisco zoos, where keepers “head-start” the baby turtles, fattening them up for about 10 months until they’re too big to be eaten by frogs or birds. When they're big enough, they're returned to Boggs Lake. 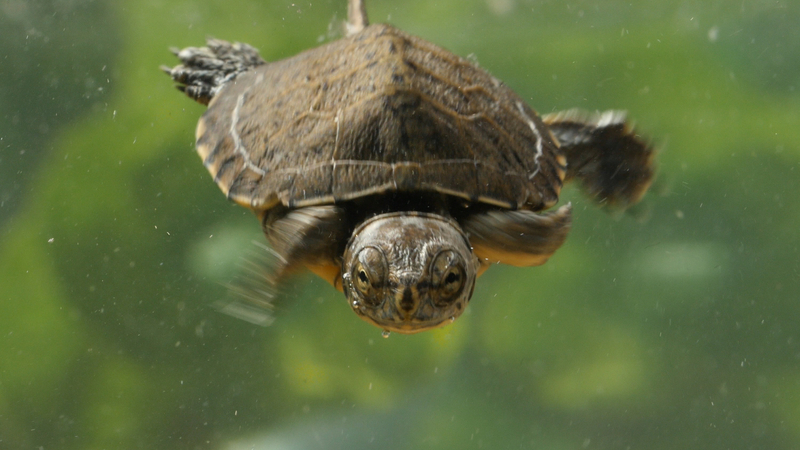 This allows more of the young turtles to survive in the wild, said Frank Slavens, who began head-starting western pond turtles in 1990 at the Woodland Park Zoo in Seattle. The species has been listed as endangered in Washington state. Most turtle species grow up without parents, which makes them easy to raise in zoos. Once a female western pond turtle lays her eggs near a lake or pond, she never returns to the nest. Because they lack parental care, turtles don’t imprint on zoo keepers. While a condor, for example, can become used to being fed by its keepers, turtles don’t, said Jessie Bushell, director of conservation at the San Francisco Zoo and Gardens. That said, keepers make sure to spend as little time as possible around the babies, said Bushell. 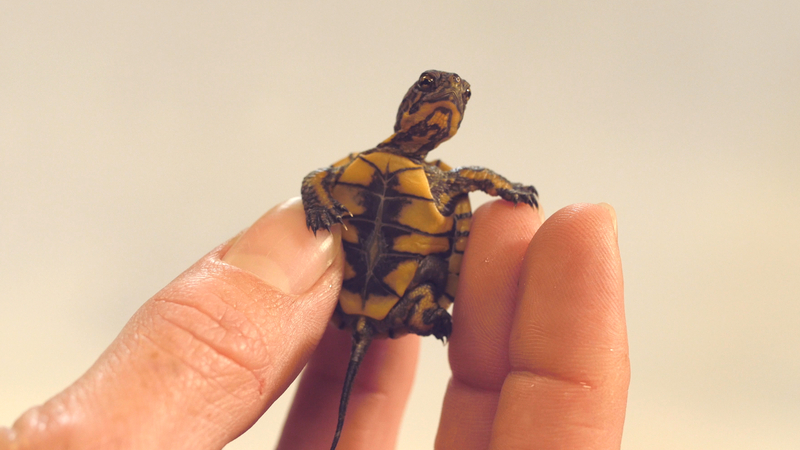 The San Francisco Zoo is currently head-starting nine western pond turtle hatchlings and the Oakland Zoo, 16. The baby turtles at the San Francisco Zoo are on display in the Children’s Zoo, while the Oakland Zoo is raising theirs in a back room where six small tubs create the impression of a maternity ward. Their diets are varied: at the Oakland Zoo, it’s crickets on Wednesday and mealworms on Thursday. 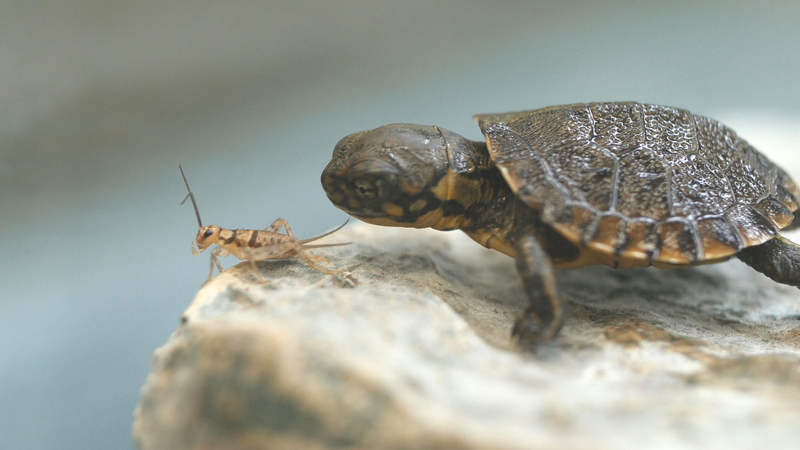 As the Presidio Trust embarked on restoring Mountain Lake, Young started looking for native species to repopulate the lake and found museum records showing that western pond turtles had once lived there. He then got in contact with the zoos and with Geist, at Sonoma State University, to figure out how to get some of the turtles into the lake. Geist and Young hope that the turtles will eventually lay eggs around Mountain Lake. If a population does take hold there, San Franciscans will have western pond turtles for a while: in the wild the reptiles can live to be more than 50 years old.